Oscar Isaac is stunning as the titular character in the Coen Brothers' latest. Two different camps of audiences are going to be very happy with the newest Coen Brothers film: Coen Brothers fans and folk music fans. The Coens' dark, funny, sad, snarky take on the Greenwich Village acoustic scene is set in the early 1960s, right on the cusp of when the so-called folk music revival was about to catch on. Lots of people were playing their guitars and singing traditional and original songs, but no one was really paying the rent. 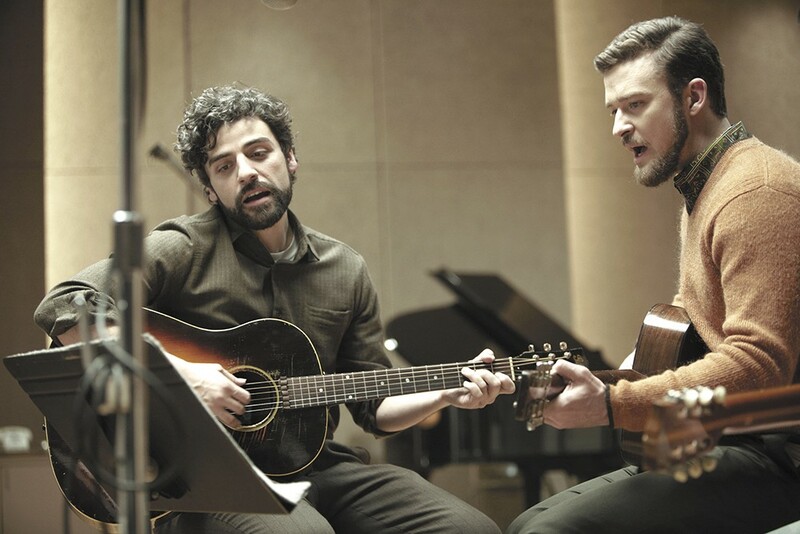 Including Llewyn Davis (Oscar Isaac), a scruffy fellow who knows his way around fingerpicking and has a beautiful voice to go with his usually moving songs, but no appreciable social skills. Llewyn's the kind of guy who can bring tears to your eyes when he's onstage and make you want to strangle him when he's off, when he's had too much to drink and needs to crash, again, on your couch. The Coens have based him, very loosely, on Dave Van Ronk, a wonderful performer who like Llewyn was just a bit ahead of his time; although well known in folk circles, he probably would have been much bigger if Dylan had paved the way for him, instead of the other way around. The Coens have littered Llewyn's life with problems and crises and people who are as difficult as he is. Some of the film's best, most uncomfortable moments are when he's being berated by another hopeful singer, the hot-tempered Jean (Carey Mulligan, with whom Isaac shared some great scenes in Drive). Isaac also has some terrific one-on-one screen time when the plot pulls Llewyn out on a road trip, accompanied by Coens regular John Goodman as a strung-out jazz hipster. That well-played part of the film removes us from the mood set in New York, and unfortunately doesn't return to it fast enough, but it does give us an all-too-rare encounter with F. Murray Abraham as a strictly-business club owner. Inside Llewyn Davis is not showing in any theaters in the area.